The court granted plaintiff's motion for attorney fees under 35 U.S.C. § 285 following defendants' covenant not to sue and ordered defense counsel to provide contact information for all of defendants' principals to facilitate the fee award "because their litigation conduct during plaintiff's action was exceptional." "[Defendant] spuriously has tried to argue that its winding up relieves it of any responsibility to pay attorney’s fees. . . . Not only does this argument have no basis in law, but allowing entities to dissolve in order to avoid any contractual or other obligations would fly in the face of any rational public policy. To that end, this court will order [defense] counsel to identify all principals, including officers and agents, of [both defendants] by name and their last known address within fourteen days in order to facilitate the award of attorney’s fees." The court denied defendant's motion for summary judgment that plaintiffs' mobile device data monitoring patent was invalid for lack of patentable subject matter because defendant did not establish that the claims were directed to an abstract idea. "The goal of the [patent-in-suit's] innovation is to allow a relatively large amount of data about particular external states to be easily monitored on mobile devices and for the information to be digested by the user at a glance. . . . These useful compact displays are coupled with the flexibility of allowing a non-programmer user to configure what external states to monitor and how to monitor them. . . . [Plaintiff] argues that at the time the [patent] was issued, the growth of mobile device usage led to a corresponding increase in the demand for rich information content; however, the 'inevitable' space constraints on mobile devices 'limit[ed] the richness of information content available to a user.' The [patent], then, had 'the specific technical objective of allowing status updates to be displayed more efficiently within the limited display screen of a mobile phone, pager, PDA or similar mobile device.' Indulging every inference in [plaintiff's] favor, the Court concludes the [patent] does not embody an impermissibly abstract idea." The court denied defendant's motion for a directed verdict on damages for plaintiff's reliance on a theory similar to the 25% rule of thumb. "[Defendant] sought a directed verdict on damages, arguing [plaintiff's damages expert] had used a 50/50 split of profits attributable to the licensed feature, akin to a prohibited 25% rule of thumb. This does a substantial disservice to the nuanced nature of [the expert's] testimony. . . . [Plaintiff] presented credible testimony from its managing director . . . as the person responsible for negotiating a license with [defendant], that a 50/50 split would have been reasonable. . . . [U]nlike cases in which the Federal Circuit has rejected expert testimony, this was not [the expert's] starting point, nor even central point in arriving at a reasonable royalty opinion in this case. It was just one of many pieces of evidence that [she] relied upon in coming up with her own royalty rate." The court granted in part defendants' motion in limine to exclude the testimony of plaintiff's damages expert regarding a reasonable royalty rate as unreliable because of the expert's distinction between exclusive and nonexclusive licensees. "[D]efendants contend that [plaintiff's expert] contradicts basic principles of patent law and economics in opining that the non-exclusive hypothetical [party] license could command a higher royalty rate than the [plaintiff-nonparty's] exclusive license because an exclusive license provides the licensee with more rights and benefits than a non-exclusive license. . . . [Plaintiff] bears the burden of showing that [its expert's] testimony is reliable. The Court will not allow [plaintiff's expert] to testify that the non-exclusive hypothetical [party] license would command a higher royalty rate based on surveys he has reviewed because he has not provided citations to any such surveys or demonstrated how they are related to the specific facts of this case." The court denied defendants' motion to disqualify plaintiff's counsel after he violated a protective order by disclosing defendants' highly confidential information to plaintiff. "[T]his Court is troubled by the seemingly cavalier attitude towards the Protective Order that was evinced by Plaintiff's attorney in counsel's initial email exchange about the improper disclosure. . . . [Counsel's email correspondence] suggests that Plaintiff's counsel felt that they were justified in ignoring AEO designations and the dictates of the Protective Order, where they had unilaterally decided that disclosure was necessary. Nonetheless, the totality of the circumstances presented here do not justify the imposition of sanctions as severe as those requested by Defendants. . . . [T]his Court cannot conclude that the violation consisted of more than a single incident, in which Plaintiff's counsel disclosed only limited information. Further, Defendants have not shown that they have suffered any commercial harm as a result of the violation. . . . While Defendants argue that Plaintiff's counsel intentionally breached the Protective Order 'because they desired to give [plaintiff] an advantage in responding to deposition inquiries', they do not explain how knowledge of the particular information apparently learned by [plaintiff] actually resulted in a litigation advantage for Plaintiff. . . . Especially given the narrow parameters of the violation that has been demonstrated by Defendants, this Court cannot find that a lesser sanction, such as requiring Plaintiff's counsel to pay Defendants' fees and costs for their motion, would be insufficient to address the situation presented and deter future misconduct." The court denied defendant's motion to order plaintiffs to remove certain prejudicial statements from their website before the upcoming jury trial. "Defendant asks the Court to Order that Plaintiffs remove certain statements from their website, which it asserts are inaccurate, prejudicial, and may taint potential jurors, and also constitute impermissible argument regarding remedial measures. Plaintiffs respond that such action would be an unconstitutional prior restraint on speech, and that evidence of subsequent remedial measures is admissible in certain circumstances. . . . Both parties will have the chance to explore with the jurors during voir dire their familiarity with any of the parties and the issues in this case. Further, the Court has standard instructions for the jurors regarding internet research and exposure to the media, and there is no reason to believe at this time that the jurors will not follow such instructions." The court denied defendant's motion to dismiss plaintiff's claims for infringement of five patents-in-suit due to errors in the chain of priority addressed with a certificate of correction. "[Defendant] moves to dismiss [plaintiff's] claims of infringement . . . on the ground that due to errors during the application process in describing the chain of priority for these patents, each is now invalid as a matter of law. . . . According to [defendant] . . . a certificate of correction under [35 U.S.C. § 255] cannot be used to correct a defective chain of priority in a continuation application. . . . While neither party cites any binding authority that squarely addresses this issue, I am persuaded that [plaintiff] has the better argument. [Defendant's] position is based on a hypertechnical reading of sections 120 and 255 that ignores longstanding PTO practice as well as the case law that exists concerning the interaction between the two statutes. . . . [Defendant] argues that section 255 cannot be used to fix section 120 mistakes because 'certificates of correction apply only to patents, not applications.' [Defendant] cites no authority for this argument, and I have not found any. . . . [T]he PTO has allowed patentees to use section 255 certificates of correction to correct section 120 priority chains since at least as early as 1976." The court granted defendants' motion for judgment on the pleadings that plaintiff's BIOS authentication patent was invalid for lack of patentable subject matter and found that the claims lacked an inventive concept. "[Plaintiff] responds that the inventive concept arises from the fact that authentication through the use of digital signatures is in the specific context of invoking BIOS services. [Plaintiff] also emphasizes the [patent-in-suit’s] use of a cryptographic key pair, as opposed to other authentication methods used in non-computer settings, as well as the patent’s role in protecting BIOS services from unauthorized service requests. . . . [T]he [patent] claims, viewed individually and as an ordered combination, simply instruct the practitioner to implement the abstract idea of authentication with routine, conventional activity on a generic computer. That mathematical algorithms are used in the authentication process, or that the process is used solely to invoke BIOS services, are of no consequence. . . . The Court rejects [plaintiff's] argument that Defendants have failed to show patent-ineligibility by clear and convincing evidence. The [patent] alone, and the obvious deficiencies therein, is the clear and convincing evidence." In a final written decision, the Board found claims of a telephone- or Internet-based reverse auction patent unpatentable under 35 U.S.C. § 101. "In the ’211 Patent, the producer tests a plurality of prices throughout the auction. . . . [T]he producer adjusts the demand curve by reducing the quantity available based on customers’ reactions to the various price offers, and selects new prices based on the estimated outcome . . . . In [OIP Techs., Inc. v. Amazon.com, Inc., 788 F.3d 1359 (Fed. Cir. 2015)] the court discussed 'the claims’ recitation of ‘present[ing] [offers] to potential customers’ and ‘gathering . . . statistics generated during said testing about how the potential customers responded to the offers,’' concluding that '[t]hese processes are well-understood, routine, conventional data-gathering activities that do not make the claims patent eligible. . . . [T]he addition of steps to test prices and collect data based on customer reactions does not add any meaningful limitations to the abstract idea.' 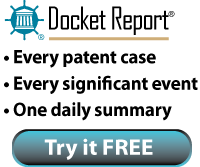 The claims of the ’211 Patent recite a patent ineligible abstract idea, similar to the offer-based pricing claims the Federal Circuit found ineligible in OIP. . . . [T]he claimed 'inventive concept' argued by Patent Owner is simply the application of the well-known offer-based pricing principles." The court granted defendant's renewed motion for judgment as a matter of law that it did not willfully infringe plaintiff's computer processing patent and rejected plaintiff's argument that the PTAB's decision denying institution of inter partes review rendered defendant's obviousness defense objectively reckless. "[Plaintiff] points to PTAB’s finding that [defendant] 'has not shown, under 35 U.S.C. § 314(a), that there is a reasonable likelihood that it will prevail with respect to at least one of the challenged claims.' According to [plaintiff], this finding precludes [defendant] from now arguing that its obviousness defense was objectively reasonable because the PTAB 'standard is lower than the ‘clear and convincing evidence’ required to prove invalidity in District Court.' The court rejects this argument. All PTAB found was that [defendant] was not likely to prevail on its defense by proving obviousness by clear and convincing evidence. PTAB did not consider whether this defense was objectively reasonable or raised a substantial question. As such, the PTAB finding -- like the jury’s finding rejecting the invalidity challenge -- does not settle the issue of whether [defendant's] defense was objectively reckless." The court granted defendant's motion for summary judgment that plaintiff's water treatment patent was invalid for lack of patentable subject matter and found that the claims were directed to an abstract idea. "[A]t bottom, the claims cover the general process of observing, analyzing, monitoring, and alerting that can be done entirely by the human mind and by using pen and paper. . . . [Plaintiff] argues that Defendants failed to consider the [patent-in-suit’s] claim limitations, including the system’s use of hardware and software to predict future events. But even with those limitations, the claims still only describe the abstract idea of collecting data, monitoring the data, processing results, and alerting the user of the results." The court denied plaintiff's motion for attorney fees under 35 U.S.C. § 285 because defendants' invalidity and unenforceability arguments were not baseless. "[Plaintiff] argues that the defendants’ Paragraph IV certifications were baseless because the asserted obviousness and unenforceability theories were legally deficient and flawed. . . . The Federal Circuit, in affirming our findings as to the validity and enforceability of the [patent-in-suit], forcefully declared this case a 'poster child for impermissible hindsight reasoning.' While that ringing phrase certainly gives strength to [plaintiff's] argument for attorney fees, this Court found numerous substantive issues raised by the defendants requiring careful analysis in this Court’s trial opinion. It was a high-stakes case involving patent coverage of a so-called blockbuster drug. But the factual and legal issues presented, as well as the procedural history and discovery, were similar to those frequently encountered in this expensive area of pharmaceutical patent law." The court granted defendant's motion to dismiss because the asserted claims of plaintiff’s voice and data communications unification patents encompassed unpatentable subject matter and found that the claims were directed toward an abstract idea. "Plaintiff argues that the patents-in-suit 'are directed to unifying different types of electronic voice and data communication systems, and allowing users to operate the systems through natural speech recognition and commands.' The claim language (which does not recite a unification theory) calls for using a 'computer and telecommunications network for receiving, sending and managing information from a subscriber to the network and from the network to a subscriber.'. . . Although at the time of issuance the challenges addressed by the patents-in-suit undoubtedly were considered to be Internet-centric, under the current analytical paradigm (i.e., in hindsight), the fact that there are pre-Internet analogs to the patent claims suggests methods of organizing human (business) activity and, therefore, an abstract idea." The court denied defendant's post-trial motion for judgment on partial findings that plaintiff's executable software decompiler patent was invalid for lack of patentable subject matter and found that the claims contained an inventive concept. "The translation of binary code and storing of an intermediate representation that can be used to analyze the underlying executable software code – in other words, decompilation – is . . . sufficiently well-established that there must be some meaningful innovative concept to render it patent-eligible. [Defendant] - seizing on [the inventor's] testimony that the claimed method could be performed manually - argues that the patent does not indicate any mechanism by which the computer-implemented method improves this longstanding process rather than simply automating it. To the contrary, however, the claimed method’s focus on the generation of an optimized, exhaustive model, as these descriptors have been defined in the claim construction process, renders the claimed invention more complex than what could be done by humans and transforms the claimed invention from an abstract idea simply automated by a computer into an inventive concept. . . . If the invention merely improved the speed and accuracy of a particular task through computer implementation, that would not be enough to generate a patent-eligible concept. But the claimed method exceeds mere automation of a well-known process by harnessing and improving upon the unique properties and complex capacities of computer technology." The court granted defendant's motion in limine under FRE 403 to preclude plaintiff from presenting evidence that the PTAB denied defendant's petition for inter partes review of the patent-in-suit. "There appears to be no controlling Federal Circuit law on the admissibility of evidence from an IPR proceeding. . . . An IPR proceeding is not an examination by a patent examiner in which a decision is made about the scope and validity of a patent. It is an adjudicative proceeding during which PTAB, comprised of three administrative law judges, determine whether the challenger has shown 'a reasonable likelihood' that it will prevail on its challenges. Moreover, the prior art that can be considered by PTAB is more limited. . . . Not only is PTAB’s decision not binding in these proceedings, the law is not even clear on whether and how much the PTAB’s decision denying [defendant's] request for review should affect the weight given to the two prior art references presented during the IPR proceedings. Although the court could attempt to provide instructions to the jury regarding the purpose and current standards applicable to the IPR proceeding, it would be difficult for a jury to understand, much less apply, the nuanced differences between the various proceedings and to determine how much weight should be given to PTAB’s decision, if any." The court granted defendant's motion to dismiss because the asserted claims of plaintiff’s containerized data patents encompassed unpatentable subject matter and found that the claims were directed toward an abstract idea. "[T]he [first patent-in-suit] recites the abstract idea of searching and processing containerized data. Updating searchable containers of information based on past search results or based on external time or location resembles age-old forms of information processing such as have previously been employed in libraries, businesses, and other human enterprises with folders, books, time-cards, ledgers, and so on. . . . [T]he [second] patent is also directed to an abstract idea: containerized data storage utilizing rules and instructions." The court denied defendants' renewed motion for judgment on the pleadings that plaintiff's digital content usage rights patents were invalid for lack of patentable subject matter and found that the claims were not directed toward an abstract idea. "[T]he Patents-in-Suit are not directed toward an abstract idea, at least because they are directed toward patent-eligible methods and systems of managing digital rights using specific and non-generic 'trusted' devices and systems. Though the Patents-in-Suit address problems associated with creating and enforcing usage rights with content, they are directed to non-abstract solutions through the use of trusted systems. Further, the Court finds Defendants’ analogy to library loans unpersuasive. A library cannot effectively enforce usage restrictions on a book once that book has left the library’s premises. . . . Defendants essentially argue that the Patents-in-Suit must disclose detailed levels of security in order to require 'specific computer programming.' However, the implementation of the invention disclosed in the Patents-in-Suit may require 'specific computer programming,' even though the Patents-in-Suit may not disclose the particular security levels of that implementation." The court granted defendant's motion for judgment on the pleadings that plaintiff's mobile device game promotion patent was invalid for lack of patentable subject matter and found that the claims were directed toward an abstract idea. "Plaintiff emphasizes that the Examiner considered 'many . . . articles and publications . . . during publication . . . that relate to promotions or coupons and are directed to the same purported 'abstract idea' identified in Defendant's Motion.' This fact does not help support a finding that the claims of the [patent-in-suit] are patentable. The references considered by the Examiner may very well have also been directed at an abstract idea. . . . [T]he claims of the [patent] are directed to the economic strategy and abstract idea of . . . 'using a code to unlock a benefit in a game.' This abstract concept is not unlike the rules for any number of long-extant promotions, lotteries, or games, or other efforts to entice people to try a product or service." The court denied defendants' motion to stay two of plaintiff's actions pending fourteen inter partes review and reexamination proceedings, eleven of which were initiated by third parties, and found that the undue prejudice to plaintiff weighed slightly against a stay. "Significant delay is a consideration here, because many of the inter partes review proceedings were not filed until almost a full year after Plaintiff filed its complaint in this case. . . . If a defendant desires a stay, it should endeavor to minimize prejudice to a plaintiff, by diligently conducting a prior art search, and then drafting and filing an inter partes review petition if it desires to do so. . . . [A defendant] filed its inter partes review petition on the one-year statutory deadline. Staying this case until completion of the inter partes review proceedings would mean that this case would likely not get started for at least two-and-a-half years after the filing of the complaint. Such a pace would not be appropriate for the prompt dispatch of judicial business. . . . While the absence of competition between the parties weighs against a finding of prejudice, that aspect is outweighed by possible harm from the slow pace to resolution that a stay would produce." Following plaintiffs' objections to the magistrate judge's order recommending that defendants' motion for attorney fees under 35 U.S.C. § 285 be partially granted, the district judge returned the motion to the magistrate judge with further instructions. "[The magistrate judge] recommended that the Court grant Defendants a portion of the $1,768,920.88 they sought by their Motion, with the specific amount to be determined after submission of further evidence. . . . Despite the thoroughness of [the magistrate judge's] analysis, the Report does not expressly state a conclusion on three important points. First, are attorney fees warranted here because certain of Plaintiff's litigation conduct is conduct that the Court should be trying to deter? Second, are attorney fees warranted here because Defendants are deserving of compensation? Third, and most importantly, in light of the 'totality of the circumstances,' after giving appropriate weight to all of the pertinent factors, is this case as a whole 'exceptional' under § 285 in light of the specific instances of behavior deemed to be objectively unreasonable or otherwise improper? In this case, the Court would benefit from having [the magistrate judge] address these issues. She handled the vast majority of this litigation. She is in the best position to explain whether (and, if so, how much) Plaintiffs should have to pay Defendants based on two identified missteps over the course of eight-plus years of litigation, in light of the totality of the circumstances of the case as a whole." The court granted defendant's motion for summary judgment that plaintiff's video-on-demand patent was invalid for lack of patentable subject matter and found that the claims were directed toward an abstract idea. "Plaintiff briefly complains that Defendants’ descriptions of the patent claims are 'oversimplifications,' but it does not delineate what, if anything, Defendants leave out. . . . [T]he patent claims the concept of 'using the same hierarchical ordering based on metadata to facilitate the display and locating of video content.' To do so, the patent exploits matches between hierarchical identifiers – uploaded at one end of the process as metadata, and read at the other end to display listed videos – in order to facilitate the automatic [electronic program guide] listing of videos sent to cable companies by outside publishers. . . . Even though the [patent-in-suit] anticipates that its steps will be performed through computer operation, it describes a process that a person could perform '[u]sing a pen, paper, and her own brain.'"